You can launch from Monterey Bay Kayaks’ location on Monterey City Beach, paddle in the harbor and up along Cannery Row! Their flat rate allows you to come in anytime and paddle as long as you want, at your own pace. Renters must be good swimmers. Children should be at least 5 yrs, and be in a double with an adult unless over 13 yrs, and anyone under 18 must be accompanied by an adult. 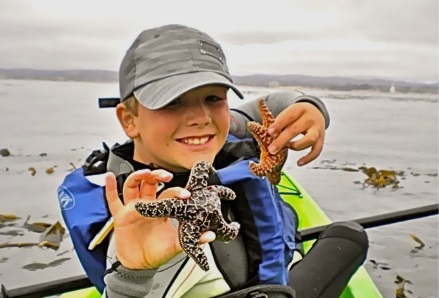 All rentals include life vests, wet suits (optional but highly recommended), paddling jackets, and an orientation about paddling the Monterey Bay National Marine Sanctuary with updated sea conditions. 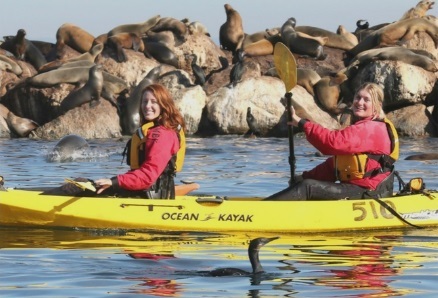 Monterey Bay Kayaks has 2 amazing wildlife locations for paddling – Monterey and Elkhorn Slough! We are a locally owned and operated small business that pioneered eco-tourism in 1985 and has been a leader in kayak recreation and education ever since!